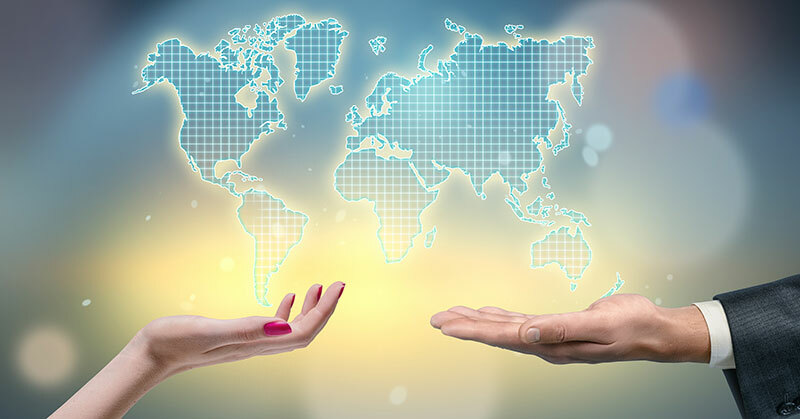 International franchise development continues at a fairly high pace, despite all the challenges around the world that have little to do with the business climate. Let's take a run around the world to see what types of franchises investors and consumers in various countries are seeking. The major franchise exporting countries remain the U.S., Australia, and the United Kingdom. Asian franchises, like Jollibee from the Philippines, are also going global at an increasing rate. Overall, a recent survey by our company showed that the most sought-after franchises, in order of desirability are children's education, burgers, senior care, coffee, pizza, fitness, and security services. In developing countries, consumers are seeking franchises related to children's education, food and beverage, management training, and retail brands. In developed countries, consumers still want food and beverage, but are now more focused on fitness, home care, cleaning, handyman, and specialty clothing. A fairly new entrant is franchises that provide security services, a sign of the times across the world today. Asian families spend an unusually high percentage of their income on the education of their children to give them an edge when growing up. For this reason, U.S. education franchises are highly sought after. China remains a fast-growing franchise market with an estimated 300 million middle- and upper-class consumers. While the country's overall annual GDP growth rate slowed to 6.9 percent in 2015, the consumer portion grew at an 8.4 percent rate. The Chinese consumer has become somewhat picky about food and beverage brands, often looking at homegrown franchises, which have begun providing a quality food product. One interesting trend in China is the growth of the local I Do franchise, which provides young couples with engagement rings in more than 250 Chinese cities. The previous generation did not give rings related to marriage--a cultural shift. Auto repair franchises are making headway because the Chinese now buy more cars per year than buyers in the U.S. and local warranties are basic and very limited. China has more than 4,500 franchises and chain store companies, creating more than 5 million jobs nationwide. The China Chain Store & Franchise Association (CCFA) says the country's top 100 franchises (124,086 stores) generated total sales of RMB428 billion (about US$64 billion), and that 90 percent of these franchises believed their sales would continue to grow in 2015. Challenges to U.S. franchise firms in China include a relatively weak regulatory system, increasing costs of labor and real estate, and a lack of qualified Chinese franchisee candidates. The most recent legislation released by the Ministry of Commerce stipulates that franchise firms can start franchising in China as long as they own and operate two company-owned stores for one year in any part of the world. This brings up a new trend that is perhaps not so positive for international franchisors: increased regulation in many developed countries. New franchise laws and disclosure requirements are popping up across the globe. Of course, a disclosure requirement also can have the impact of leveling the paying field between local franchisees and international franchises seeking to enter new countries. A good part of the reason that the United Kingdom decided to exit the European Union after many decades was the increased regulation coming from the European Parliament in Brussels across almost every phase of life and business. This is a trend that needs watching as franchisors plan their entry into new countries. Vietnam is another Asian growth market for franchising, especially in the coffee sector. The Coffee Bean & Tea Leaf is well established, and PJ's Coffee of New Orleans recently opened its first coffee shop in Ho Chi Minh City (Saigon). 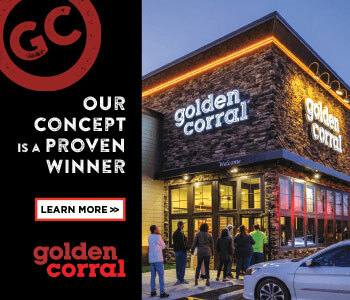 In the Philippines, the Bistro Group, which owns the country rights to TGI Fridays, Buffalo Wild Wings, and Texas Roadhouse, just opened its first Denny's. Manila is the headquarters for a large number of international call centers whose young employees come off work at all times of the day and night and want a full meal. From the outside, Japan would not appear to be a good market for new franchises because of its very low (or no) annual GDP growth rate. The recent opening of the first Carl's Jr. in Tokyo shows that well-known food brands will still find an investor in Japan. With its large aging population, Japan offers a major opportunity for well-established Western senior care franchises. Right at Home senior care has opened in Japan. In Australia, the economy continues to do fairly well. However, with more than 95 percent of the country's franchises being local, it is relatively difficult for foreign brands to enter the market. Since about 2008, Europe has been in a deep recession following the global financial collapse. Now, as annual GDP growth is becoming positive again, investors are once again seeking new brands to acquire and develop in Italy, Poland, and Spain. This interest is primarily in food and beverage franchises, but fitness franchises are also a major interest across Europe. The United Kingdom recently voted to leave the European Union (EU). This does not seem to have had a negative effect on the interest in most franchise development. We shall see what 2017 brings when the timetable for the U.K. exiting from the EU is more clear. In the Americas, Peru is the standout economy. Having had a successful presidential election that brought in a pro-business government, franchising is once again prospering in the food and beverage sector. Brazil has been slowed by an economy with negative GDP growth and political changes. But next door, after 20 years of bad government and economic policies, Argentina is emerging as a high-potential market. The new government is pro-business and pro-growth. They also are letting the local currencies float against the U.S. dollar so a franchisor can actually be paid in hard currency rather than soybeans. A new government in Canada has led to more taxation and a slowing economy. Large investment franchises, like in the food and beverage sector, are finding it hard to find investors and capital. In Africa, there is interest in acquiring new franchises in Kenya and South Africa. But the economies, unemployment, and political situations are barriers to finding investors. Nigeria is going through economic challenges that may limit new franchise development in 2017. Given the political turmoil and today's low oil prices, the Middle East would seem a place where there would be little interest in new franchise development. There is no doubt that the price of oil, much lower than just 1 or 2 years ago, has diminished new investment in countries like Kuwait, Saudi Arabia, and the United Arab Emirates. But there remain companies that think 3 to 5 years out and are still investing in new brands. New franchise investment in the Middle East is lower than 2 to 3 years ago and is limited to these countries. Food and beverage franchises are still the primary interest, 40 years after the first U.S. burger brands entered these countries. Turkey has seen good foreign franchise investment in the past five years. Unfortunately with the unrest in Syria and internal political changes, Turkish companies have recently become reluctant to develop new brands. History says this will change in the future. Master franchising remains the prevalent type of franchise model in most of the world, except for the food and beverage sector where area franchising remains the model. An area franchise is one where the local franchisee builds, owns, and operates all the units of the franchisor in a country. This requires a much higher level of capital than master franchising. Food and beverage franchises typically seek multi-unit franchisees in the U.S., and this has begun to happen in Europe. Franchise Update Media will hold the first multi-unit franchise conference in Europe in early December in Florence, Italy. Again, a sign of the times. William Edwards, CEO of EGS LLC, has 40 years of international business experience. He has lived in 7 countries, worked on projects in more than 60, and has advised more than 50 U.S. companies on international development. Contact him at 949-375-1896, bedwards@egs-intl.com, or read his blog at edwardsglobal.com/blog.